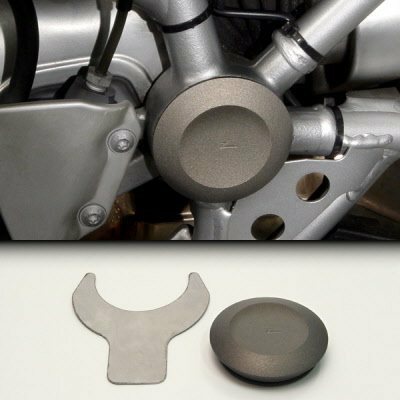 BMW R1200GS R1200GSA Machined Aluminum ZPlug: Large Right Rear Frame Junction Ztechnik Z5361 Cover the large hole at the right rear frame junction with this beautifully machined aluminum plug. It has a beadblasted, durable hard-anodized grey finish to match the Boxer's cylinder head covers. Precise tolerances and a channeled rubber o-ring ensure a perfect and exact fit. Kit includes a tool for removing the OEM plastic plug. Complete the look with the Z5360, Z5362 and Z5363 kits!